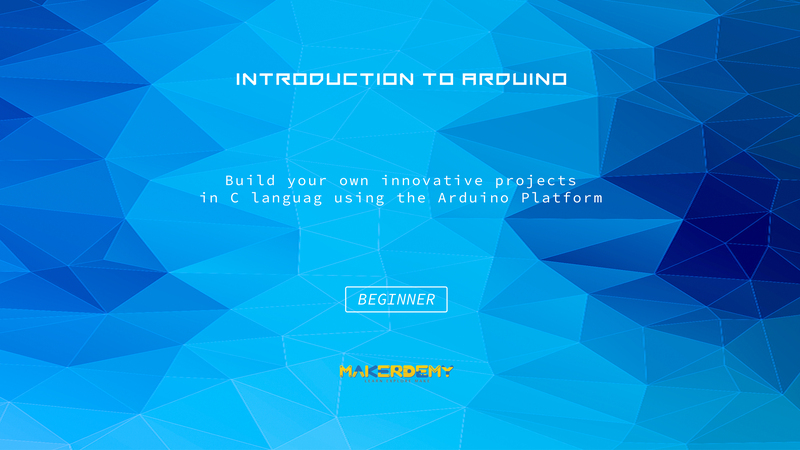 Build your own innovative projects in C language using the Arduino Platform. Arduino is one of the cost effective boards you can purchase & start programming with to interact with physical elements using logic & create results the way you want it. It can be used in your Engineering projects, Industrial Projects and Home Automation related projects. The course lesson will explain “How to work on Arduino” using C Language. This course works best for you if you own an Arduino UNO. If you an Engineering or Science student you might come across projects in which you want Physical interaction with your computer system. The Arduino development environment makes it easy to write code and upload it to the i/o board. You can use Arduino language(C\C++) to interface with Arduino hardware. This course is for anyone who is interested in learning about Arduino. The course does not require any prior knowledge about Arduino. It is designed to introduce the Arduino hardware and programming environment to get you started on building projects. However, basic knowledge of C programming is essential to understand this course. No experience is required, and all you need is an Arduino and several low cost components. In this course, I will walk you through a project called “The Blind Man Guide”. In this project, an ultrasonic sensor is fitted on to a cap and is powered by Arduino which measures the distance and also alerts about objects or obstacles in front of the device. By wearing this cap, a blind person can be alerted about objects or obstacles in front of him. At the end of the course, you’ll be fully familiarized with Arduino and ready to build your own applications and devices. If you’re interested in Arduino, or micro controllers in general, and don’t know where to Start – you’ve found the perfect course. I look forward to you joining this course.